We are moving our Neo4j Community Support Forum to a new place as we have outgrown Slack. Thank you all for your help and support there. We’ve been asked several time in the past to open a neo4j-users Slack group for the many enthusiastic people in the Neo4j user community. Now, that Slack group is a reality. This group is meant to be a hip alternative to IRC for quick questions and feedback. StackOverflow is still the place to go for canonical, persistent answers and also providing them. We’ll also posting interesting StackOverflow questions and answers to the Slack group. So, yesterday we gave it a go and were totally overwhelmed by the users pouring in. During the first hours we had about 100 sign-ups per hour, making it 600 members in the first 6 hours. Wow, that was impressive. And everyone was very thankful and enthusiastic. New channels were created and people instantly began helping each other, discussing questions and giving feedback. If you want to join now, please sign up here, and then come back to finish reading this article. Driver authors and community contributors are also all there to help you with specific questions. In addition, many Neo Technology employees participate as well to help you out with questions or ideas. For the best experience just join the channels that your are interested in, and for whose topics you can provide help. No need to be everywhere. Of course we added our Neo4j-Slack integration so that you can explore channels and users and get recommendations on channels that might be interesting for you with the /graph cypher [query] slash command. The Slack experience has been pretty good so far. It was no issue processing 5,000 total invites (which were a pain to export from Google Groups) and so far interaction has had no hiccups. It is unfortunate that people can’t sign up for public Slack groups on their own, and that signing into another team on the Desktop client is a bit of a hassle. It would be cool if there was another ordering mechanism for channel names other than just alphabetic, and it was a bit tricky to get a good channel structure that doesn’t overlap. Also, the missing history for non-paid Slack teams is sad. 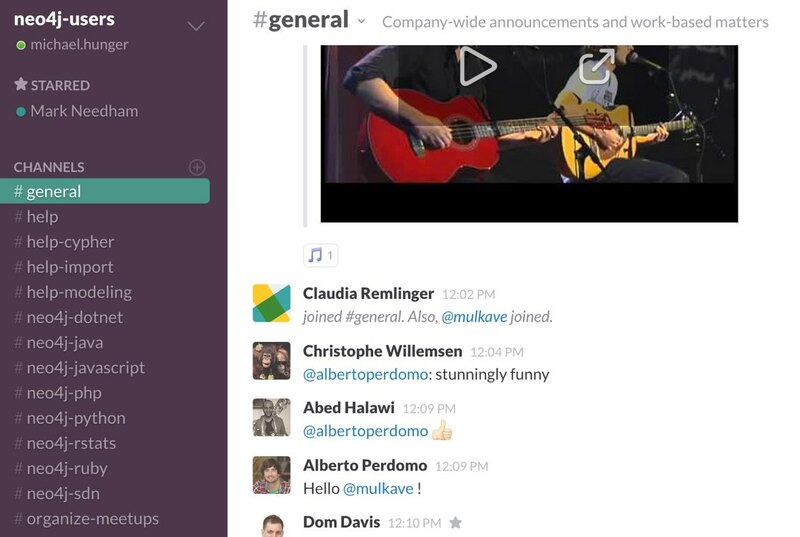 I hope that Slack will provide a good solution for open source projects that just want to engage with their users in a better way. Despite these few issues, however, Slack is a great tool for working with our community and we hope you’ll join the discussion. 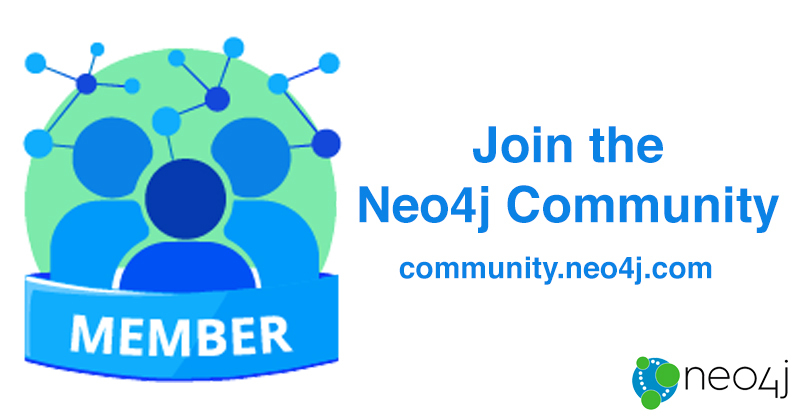 Sign up here to join the Neo4j-users Slack group today. 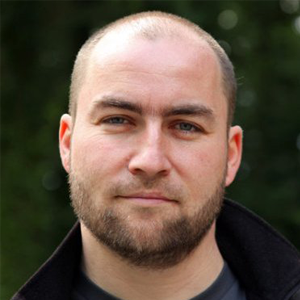 Want to catch up with the rest of the Neo4j community? Click below to get your free copy of the Learning Neo4j ebook and catch up to speed with the world’s leading graph database.